It is a matter of great pride that Indians are getting appreciated in every technological field and here is another feather to the cap for Indians. An Indian origin researcher, Sayani Majumdar, and her colleagues have developed organic ferroelectric films that are just a few nanometres thick and can store data for a decade without power. The world is volatile and the rapid pace at which the segment of IoT (Internet of Things) is changing and advancing, we need to develop newer techniques to store huge data and create a non-scale architecture where the bulk transistors can be miniaturised to store huge amount of data. This has been proved right today. Majumdar and her team explained in a research paper published in the Journal of Advanced Functional Materials that this electrode setup can be made out of many things including silicon can work with as low as five volts of electricity and can retain the data for more than a decade without power. The manufacturing of these chips is possible under normal condition too. This clearly means that the need for more power and electricity to preserve and store data will be eliminated once this chip is put to use. A single IoT is said to produce more than one gigabyte of data per day and it needs tremendous hardware to store the data. This clearly means that the companies need to scale down the size of the transistors and the companies need to spend a huge sum of money to store this data. These ferroelectric chips are the future and can be the building blocks to IoT systems. These chips can help a lot and serve as great components in “neuromorphic” which are the computers inspired by human brains. 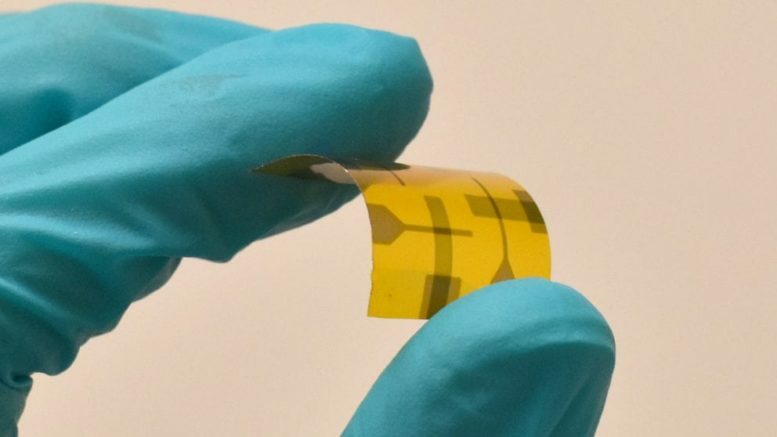 Be the first to comment on "Indian Origin Researcher Made Ultra-thin film to store data"